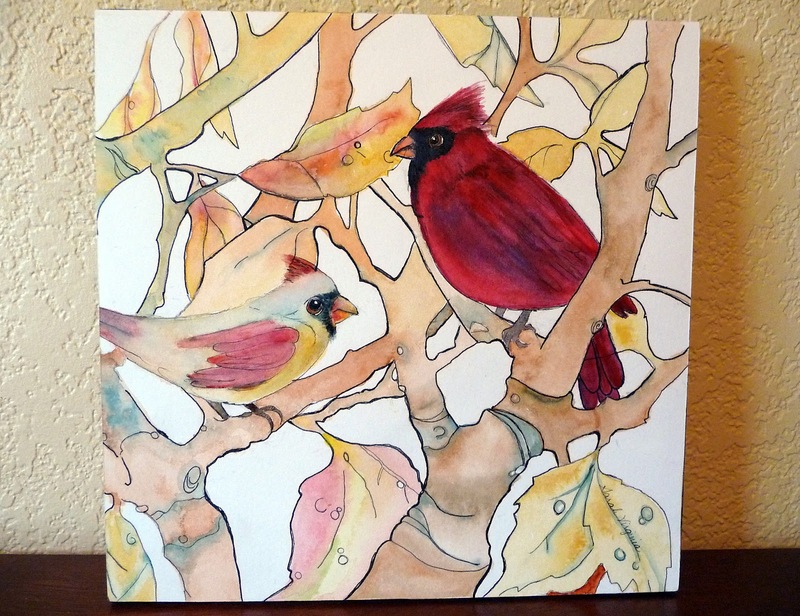 Original watercolor painting mounted on board by artist Sarah Virginia. Measures 10 by 10 inches, with wire on eyes on the back for hanging. Cheerful picture with beautiful tones, for your kitty to look at! This item will close on May 12, 2012, at 11:00 PM EST. Any bids placed after that time stamp will not be honored. Once the auction closes and payment from the highest bidder is confirmed, the artwork will be mailed to the address you provide. This item is open to U.S. addresses only. This item is now closed for bidding! Congratulations, ShinyFox, you had the winning bid. Watch for an email from us.